If you’re looking to promote your properties in the Florida panhandle, you’re competing with many other properties in the marketplace. As increasingly prospective shoppers utilize technology to search for homes and property, why not use some awesome twenty-first-century tools that aid and draw attention to – and very almost certainly sell – your property? 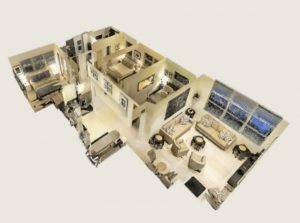 A Realtor in Atlanta, Jon Showe developed a 3D tour to help him quickly move properties in the Atlanta area. This technology set him apart from the other Realtors. In fact, Realtors and Builders have been wanting to make use of his technology after seeing the results. At Your3DGuy.com, we have all of this technology and more! The days of a few still photos or a simple “pan-and-scan” video may be going by the wayside. With 3D technology, you have the feeling of actually being in the room you are looking at. “They’re literally walking through it from room to room,” he explained. Instead of watching a video that shows only limited views, his technology allows potential buyers to look at the property in the way they want to, at their own pace. 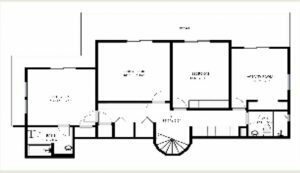 In fact, each buyer will look at the property in his or her own unique way, navigating to specific points of interest, he pointed out. The videos can be utilized with online listings, and prospective buyers can access them on their computers, tablets or smartphones. The technology can even show a “dollhouse” view, which has the visual effect of removing the home’s roof and letting the viewer peer down inside. The 3D tour is helpful for any buyer, including those who live outside the area. International buyers are frequently looking for properties in Florida, this gives them the opportunity to get an accurate, immersive view of a property without even visiting it. Drones can be used to help show off your home’s location with photos or videos. While they’re probably not very useful for a property located on a small subdivision lot, Showe said, drones can effectively highlight a property that has a large, interesting lot with impressive landscaping, a creek or expansive pool area. A drone can also be helpful if you live on a lake, next to a golf course or have another nearby view you’d like prospective buyers to be able to see – such as a gorgeous neighborhood with impressive properties and amenities. Since the Federal Aviation Administration has rules that govern the commercial use of drones, you’ll either need to file a petition for a permit – which takes about 120 days – or use a company like Your 3D Guy. Commercial developers are venturing into virtual reality technology as a way of allowing prospective tenants to visualize and experience a space — even before it is built. One of the biggest technological trends over the past decade has been the ability to create and visualize 3D representations. While most of these technologies have been developed for the gaming and entertainment industry, virtual reality has grown into having key applications in real estate by allowing potential tenants and buyers to take a simulated “tour” of a property. According to a recent study by Goldman Sachs Research, virtual reality will become an $80 billion market by 2025, with $2.6 billion being targeted for real estate. More commercial developers and brokers are currently exploring the virtual reality trend as a key tool in selling or leasing potential spaces. Commercial developers have begun using 360-degree video systems throughout their properties to record spaces. The recordings are edited together to create an interactive projection — or simulation — of the interior spaces and surrounding landscape. Potential tenants and buyers are able to view the 3D simulation using virtual reality software applications on a phone, computer or tablet. The technology gives the illusion of walking through a space and allows the users to look around in different directions from multiple vantage points, feeling as if they are actually touring the property in person. Users can click or scroll on their device to navigate through a space and zoom in on particular features. Some of the 3D applications require special headsets. Potential prospects can also tour a potential property before construction has even begun. Some of the main providers of virtual reality applications and 3D gear include Facebook Oculus, Samsung Gear VR, Google Cardboard and HTC Vive. One hurdle for widespread use of virtual reality in commercial real estate is cost, which can run into the thousands of dollars depending on the scope of the project. The cost of hiring a professional to shoot 360-degree videos can be $3,000 or more. This cost is a lot more affordable with camera systems like the Matterport. Your 3D guy charges an average of 20 cents a square foot to shoot not only 360 degree but true 3D virtual touring. Gear such as headsets are available for under $100 dollars these days. 3D interactive headsets have become more competitive bringing more systems into the market with higher quality and lower pricing. Because virtual reality hardware companies are continuing to innovate, however, the costs of virtual reality applications and 3D gear are still coming down. Commercial developers should also weigh the time-saving potential and the cost-savings of not having to arrange and conduct actual physical tours of their properties. A commercial virtual tour has the potential to increase interest in your property and simplify your sales efforts. This can provide you with a competitive advantage. While virtual reality technology will likely not replace a physical building tour and still has a way to go, virtual reality stands to play a key role in transforming the way commercial developers and brokers do business in years to come. Wearing 3D glasses, viewers can see an exact replica of the subject’s anatomy and use an accompanying stylus to digitally manipulate parts of the body projected on the screen. Origin Aguirre, who has a master’s degree in electrical engineering from the University of Monterrey in Mexico, first tried to use 3D imaging for oil exploration but found more data available in radiology and other medical fields. Cost The company charges $25,000 a year for a subscription to its software, or $22,000 a year with a longer-term contract. Form and functionEchoPixel’s software stitches together data from CT scans, MRI machines, and ultrasounds to generate 3D images that medical professionals and patients can examine and manipulate using 3D glasses and a stylus. Innovator Sergio Aguirre Age 40 Title Founder of EchoPixel, a four-year-old, 18-employee medical-imaging startup in Mountain View, Calif.
Equipment The system has a desktop PC equipped with EchoPixel software and cameras that track a user’s head movements. Wearing 3D glasses, viewers can see an exact replica of the subject’s anatomy and use an accompanying stylus to digitally manipulate parts of the body projected on the screen. Origin Aguirre, who has a master’s degree in electrical engineering from the University of Monterrey in Mexico, first tried to use 3D imaging for oil exploration but found more data available in radiology and other medical fields. He founded EchoPixel in 2012. CustomersEchoPixel has about 20 paying subscribers, including Stanford and the Cleveland Clinic. Use EchoPixel pitches its technology as a way to diagnose diseases, plan surgeries, and educate patients. 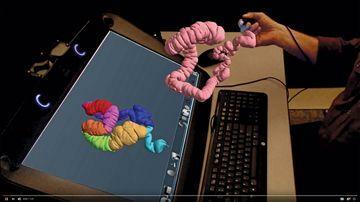 For doctors, it can also take the guesswork out of converting 2D scans to 3D actions. Next Steps “This interactive virtual reality really facilitates understanding,” says Ken Merdan, a senior research and development fellow at medical-device maker Boston Scientific. “When you are looking at something complex—and anatomy is complex and hard to understand—it’s easier to grasp in a short time frame.” The U.S. Food and Drug Administration has approved EchoPixel’s system, and the company says it’s working on refinements that will eliminate the need for 3D glasses, letting people view its images on standard mobile devices. With more and more companies getting on board, you will see 3d imaging become more affordable. This will open doors for doctors and patients to diagnose things like tumors long before they are life threatening.